Could Dr. Bartlett Durham ever have dreamed what his little outpost between Raleigh and Hillsborough would become? By encouraging reflection, education, and exploration of complex social issues, the yearlong event will focus on ideals of inclusiveness and shared prosperity, helping us thrive as a dynamic community into the next century. Your involvement is needed to help plan and execute a dynamic, yearlong observance that includes everything from a community-wide family reunion and series of events to celebrations of our roots and all that lies ahead. Your gift will help make the Durham 150 vision a reality. The Museum of Durham History has an important role to play in the Sesquicentennial, leading the effort to plan programs and exhibits that are interactive, engaging, and inclusive –leveraging technology where possible to illuminate the personal memories, experiences, and family lore that define the city’s shared heritage. During this year, planning will also be underway to expand the museum as a more significant and permanent home for Durham’s unfolding history and community story. 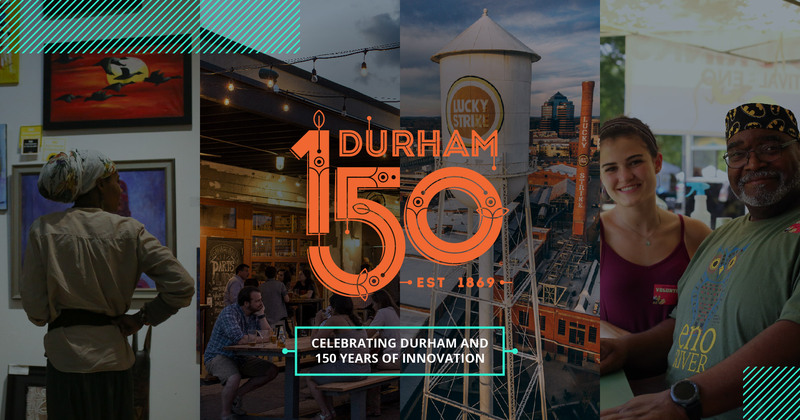 The culmination of the Durham 150 festivities will become the launch for the new Museum of Durham History through community conversations, architectural design and capital campaign planning.